When it comes to commercial roofing, the materials utilized will determine everything from how well protected your building is to how costly your energy bills become. For this reason, Firestone has created a Thermoplastic Polyolefin (TPO) single-ply roofing membrane that is designed with durability and strength in mind, as well as the energy efficiency of the building it is installed on. If you have been looking for a new roofing system for your commercial building in Northern Colorado or Southern Wyoming, reach out to the roofing contractors in Greeley at Sorensen Roofing & Exteriors and ask us for a free estimate on Firestone TPO. Due to the unique combination of plastic and rubber, TPO provides outstanding flexibility. This is true even at exceptionally low temperatures, which is important in a climate like ours. Another important attribute of TPO roofing membranes is that they offer outstanding resistance to UV rays and chemical exposure. This allows for longevity and lowered maintenance needs. When it comes to a roofing material that can stand up to the test of time and weather, TPO is an industry leader. This roofing membrane has been perfected over the years, leading to the current, highly durable system produced by Firestone. The white reflective material that comprises a TPO roof makes it a great candidate for those who seek improved energy efficiency. Cut down on HVAC costs in your commercial building through the installation of TPO. 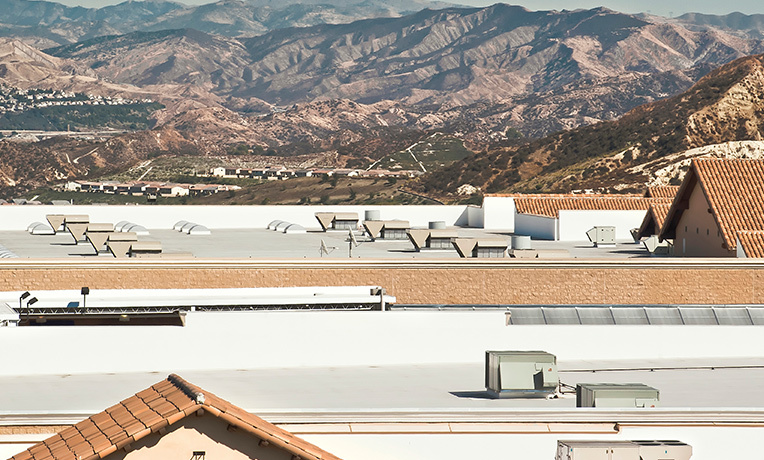 Sorensen Roofing & Exteriors is proud to offer commercial roofing services to meet your business’ needs. Whether you are repairing a small section of a warehouse roof or you need a complete overhaul on a major commercial building, we can assist you in finding the right commercial roofing materials for your needs. Interested in learning more about TPO roofing by Firestone? Get a free estimate from Sorensen Roofing & Exteriors, your local top-rated Greeley commercial roofers offering service across the local area.